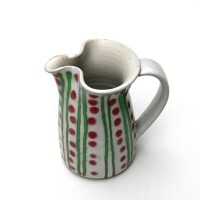 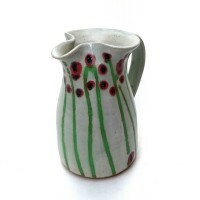 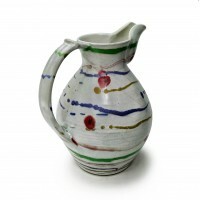 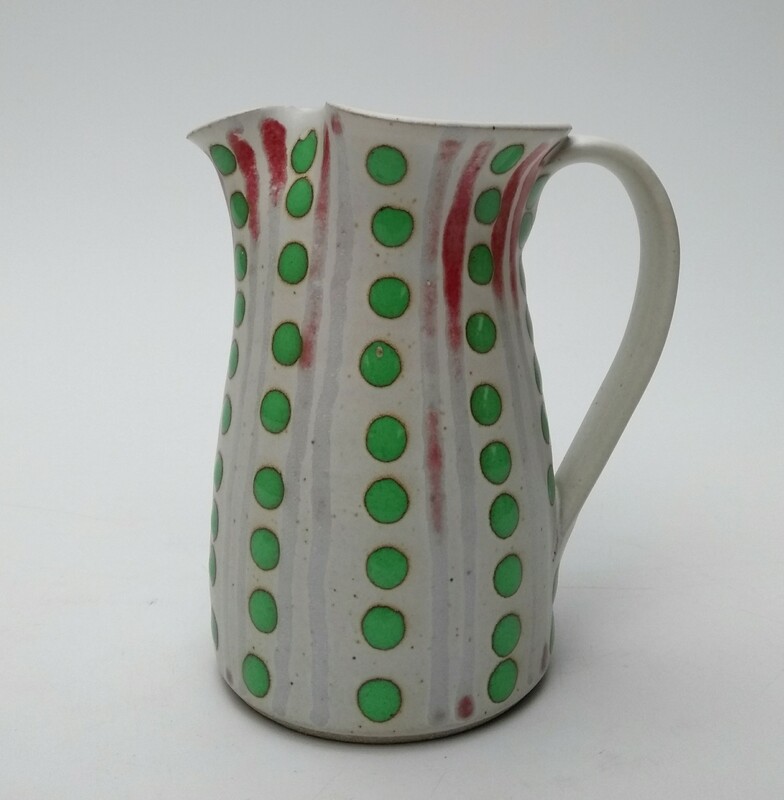 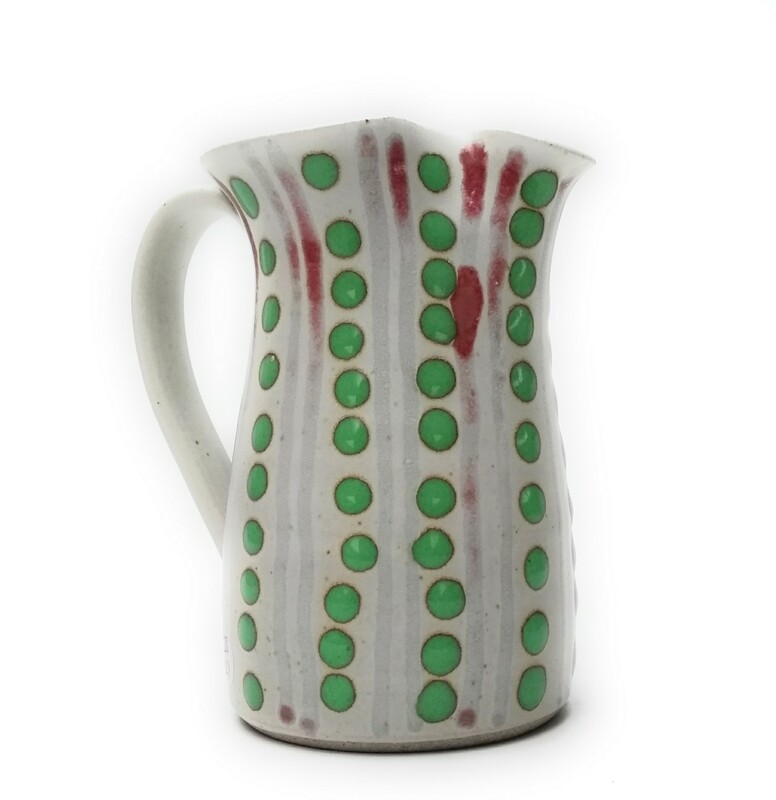 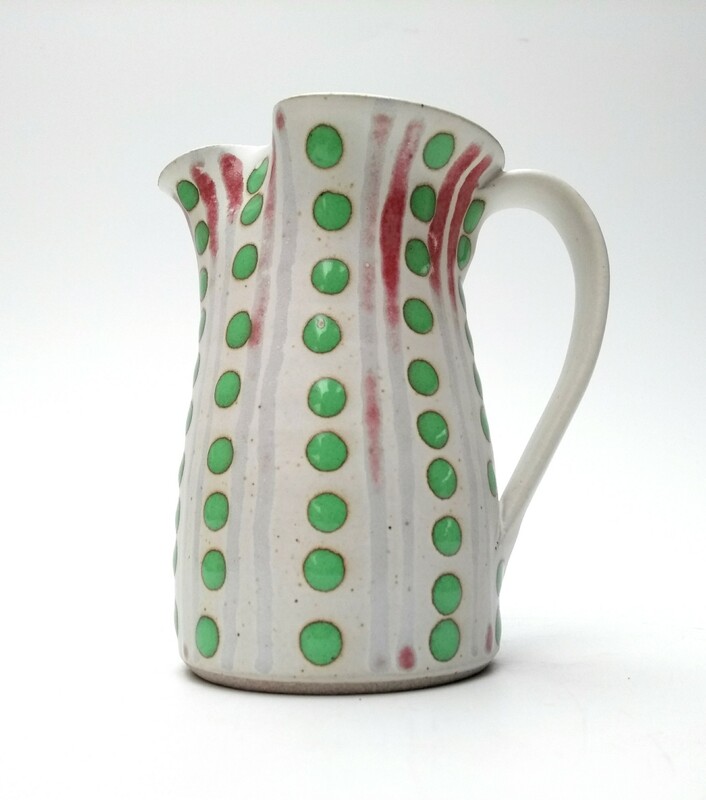 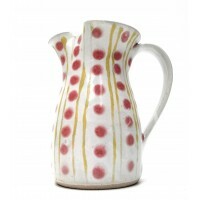 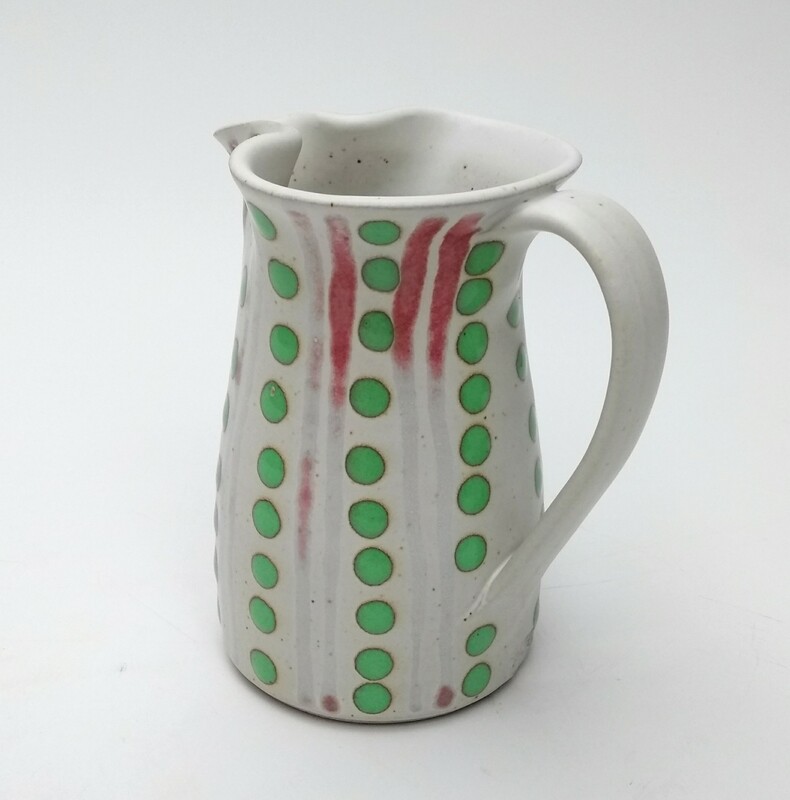 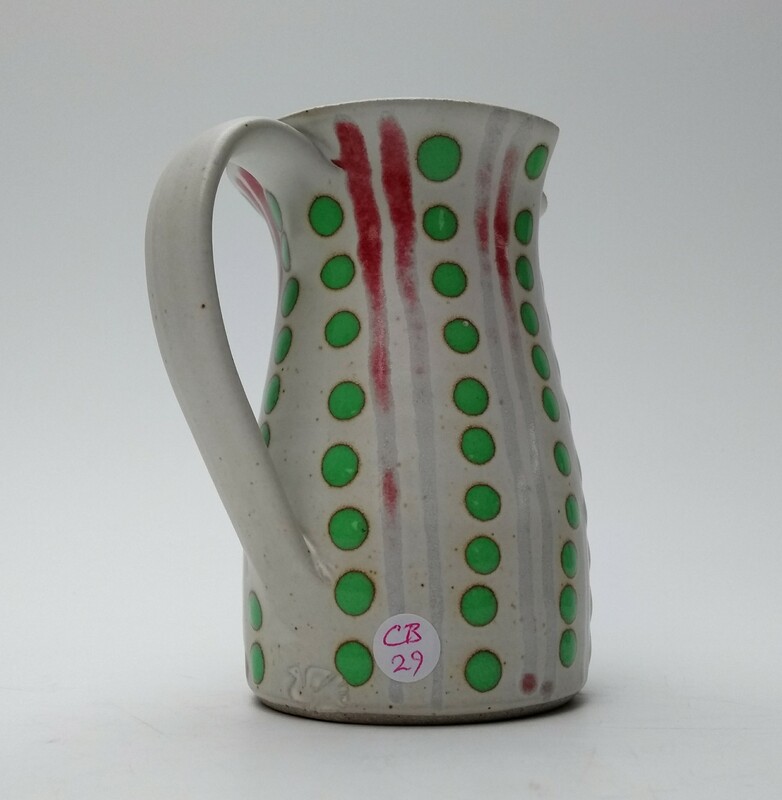 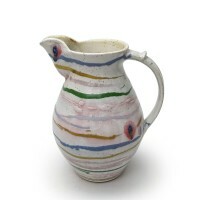 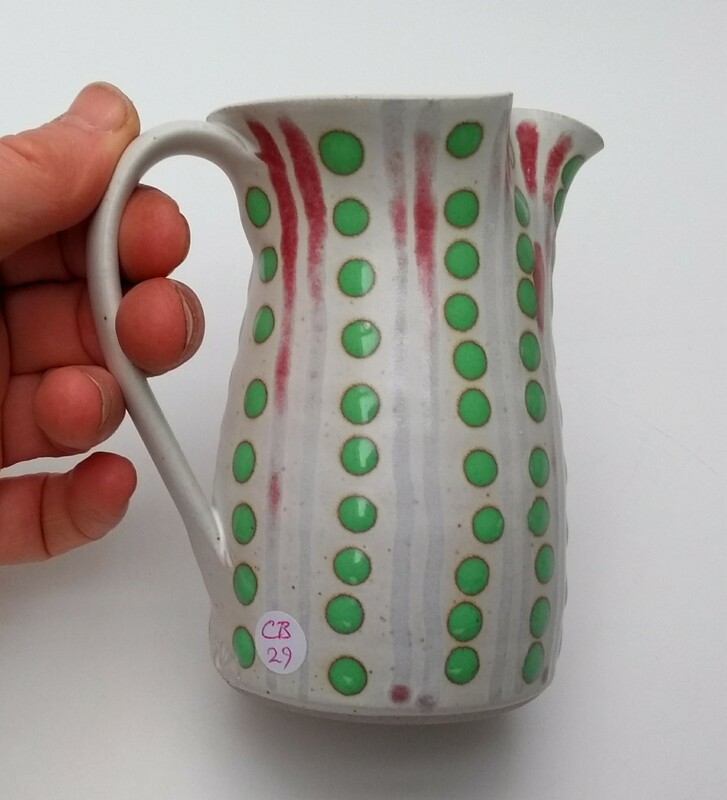 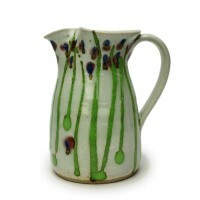 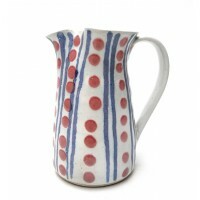 Jug with coloured dots and stripes on a white ground. 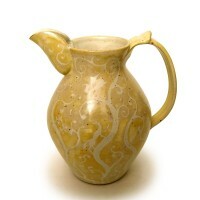 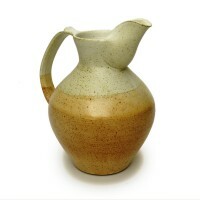 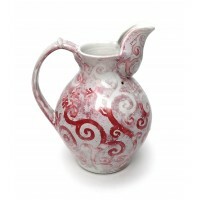 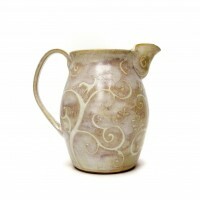 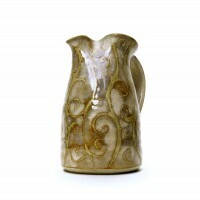 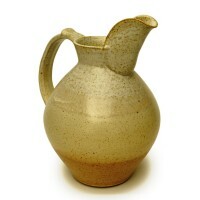 This jug is suitable for use as a milk jug and will fit into most fridge doors. 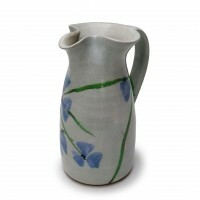 It is also excellent for displaying flowers. 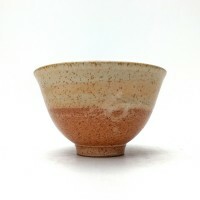 Size: Diameter 3" x Height 5". 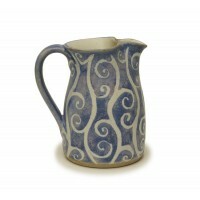 This is Standard Ware and can be ordered at any time. 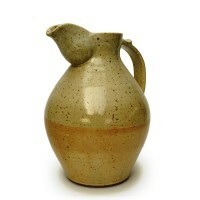 Lead time up to 6 weeks depending on stock levels. 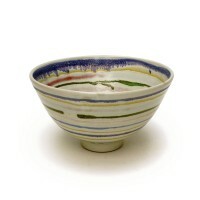 A white hand thrown stoneware bowl with bands of coloured glazes.Excellent for serving salad or as a fruit bowl. 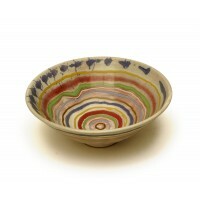 Just put it on the table and look at how great it is.Care: Oven/Microwave/Dishwasher safe.Materials: Stoneware c..
A white hand thrown stoneware bowl with bands of coloured glazes.Excellent for serving salad or as a fruit bowl. 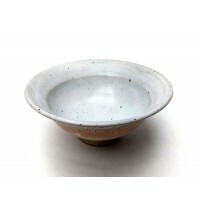 A beautiful centre piece for your table.Care: Oven/Microwave/Dishwasher safe.Materials: Stoneware clay - Food sa..